This is a very gorgeous and unique shaped hand selected jewelry/investment grade Australian natural gold nugget. It is very long at over 3/4" (21 mm) long and the weight is 3.3 Grams (50.9 Grains) This is a very beautiful raw gold specimen and it has beautiful color. It is the perfect shape for a pendant. Have a jeweler solder on a pendant bail, add a gold chain, and you have a gorgeous natural gold nugget pendant. 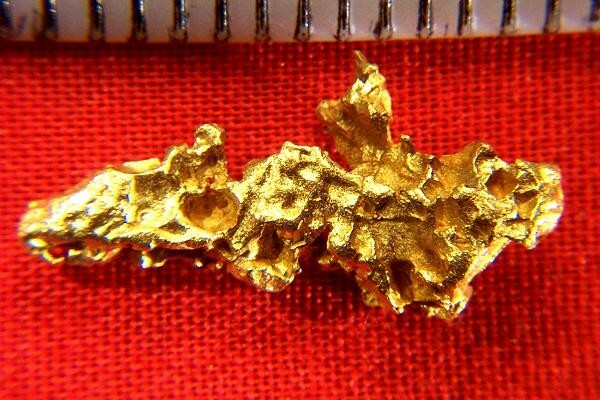 The purity of a hand selected jewelry/investment grade gold nugget like this is estimated at 94% to 98% pure. 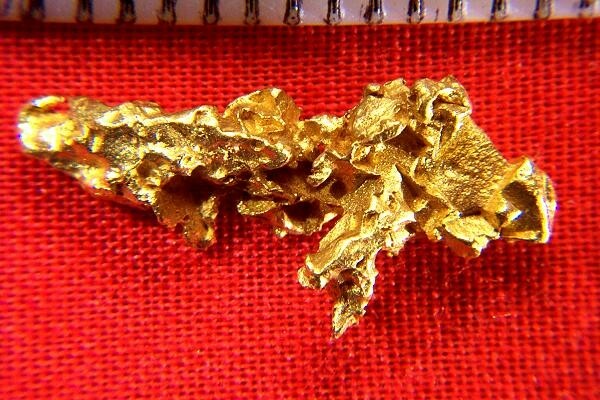 What better way to invest in gold than to buy natural gold nuggets. The rarity protects your investment and gives you great upside to the gold price.